HowMuch is an omni channel platform for local grocery retail stores/chains, where a retailer can easily build his shop online. Through HowMuch, a retailer can easily manage his inventory, sales, and marketing. He is also able to connect his offline store sales with online by using a built-in POS system. In HowMuch we have replaced the old and obsolete traditional POS system which only catered their offline sales only. Due to the limited functionality, there is a chance of record duplication, while a built-in system of POS in HowMuch have cloud storage and it will manage both offline and online orders. Retailers have access to manage their sales remotely as well as manage inventory. Through All-in-one dashboard retailer can easily create their marketing campaigns via social, email, SMS and mobile push notifications. Howmuch system is designed to give customer a unique experience in online grocery shopping. The purpose built cloud backend service will enable to have a full control of retailers business needs. 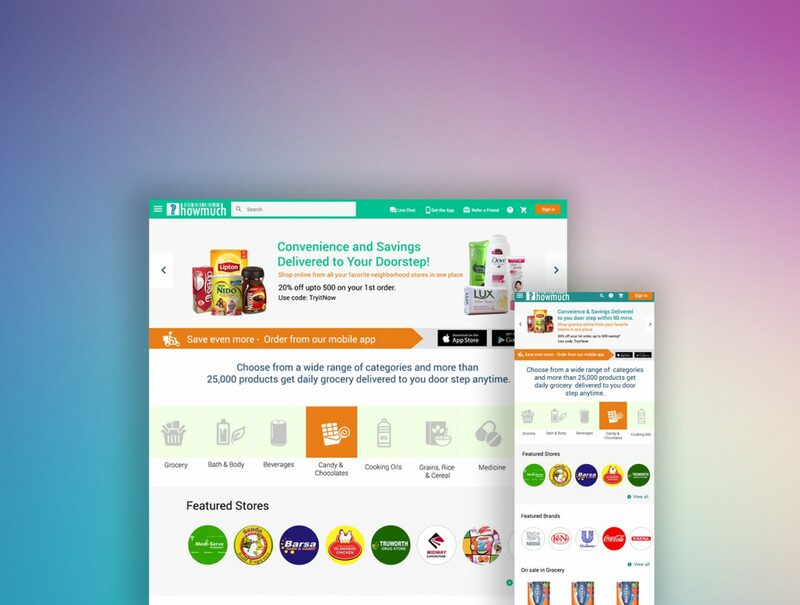 For consumers, howmuch developed seamless navigation and checkout experience with polished UI and well-managed products data of not only the popular brands but a consumer can easily find the local products of its neighborhood stores.